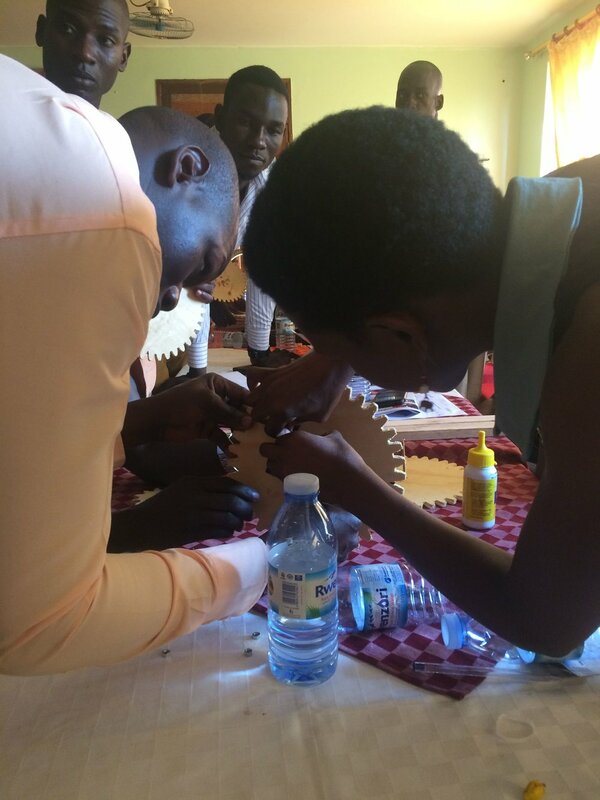 Two weeks after the Head Teacher meeting, we were back in Lira for our Term 1 teacher engineering workshop. We refreshed teachers on the engineering design process and came up with collaborative goals for their professional development in Term 1. 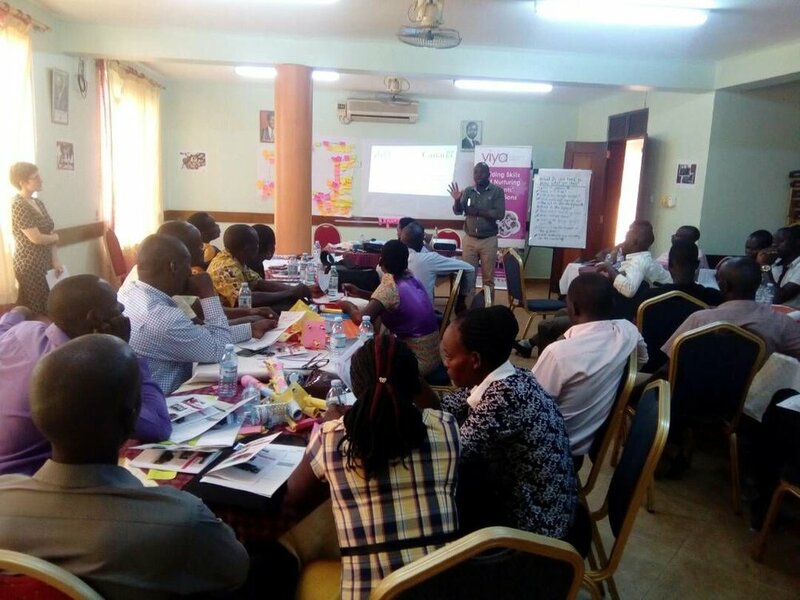 We explained to teachers that Yiya's focus for 2018 is teacher professional development and empowering teachers to be the lead engineering educators in their classrooms. In 2017 Yiya staff were the lead engineering educators, with co-teaching support from school teachers...now we are hoping to turn that around and be the co-teaching supports while the teachers take the lead! Teachers were very excited about this news! They set group goals for themselves, including 100% teacher attendance at all Yiya lessons, and they committed that every teacher would be the lead engineering educator for at least 1 Yiya class in Term 1. 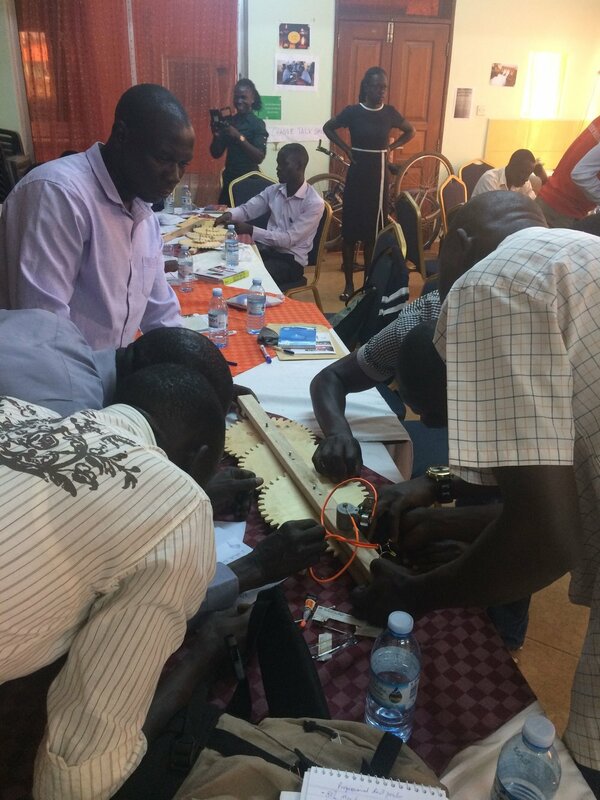 Teachers said their Yiya workshops need to be longer so they have more time for experimenting and engineering (and networking with other likeminded teachers)! Teachers said they need us to expand the Yiya program so that all students in the 6 partner schools can participate. Currently, we work with 40 students per school. We assured teachers that as soon as we have the funding, we will definitely work with all students and even expand to more schools! Older PostHead Teacher Meeting: Kicking off school year 2018!